When using Power BI Desktop, it is possible to develop reports against your Jet Enterprise OLAP Cubes. 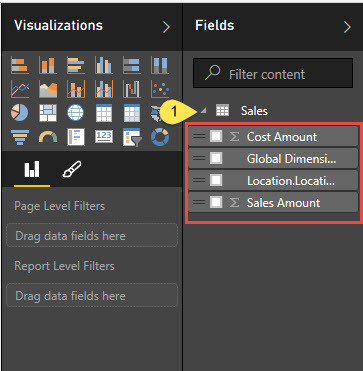 This article outlines the steps required to connect to your Cubes through Power BI and what the various settings represent. This article assumes that you have the Power BI Desktop application installed. If this is incorrect, please visit the following link to download and install the Power BI application before proceeding: https://powerbi.microsoft.com/en-us/desktop. 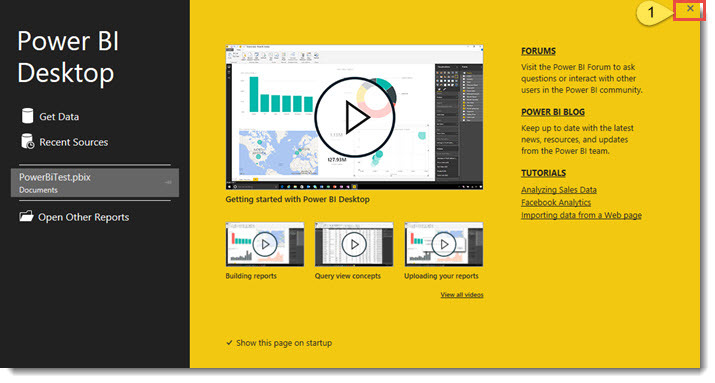 First, open Power BI Desktop. If presented with an opening screen like shown below, please close the window to proceed with this outline. This opening screen can be useful when new to the application because of the Forums, Blog, and Tutorials that it offers. If you prefer to skip this screen in the future, un-check the box at the bottom that reads Show this page on startup. Upon closing the opening screen (if applicable), you will see a blank Power BI report. To connect to your OLAP Cubes, click on the Get Data button in your menu bar. 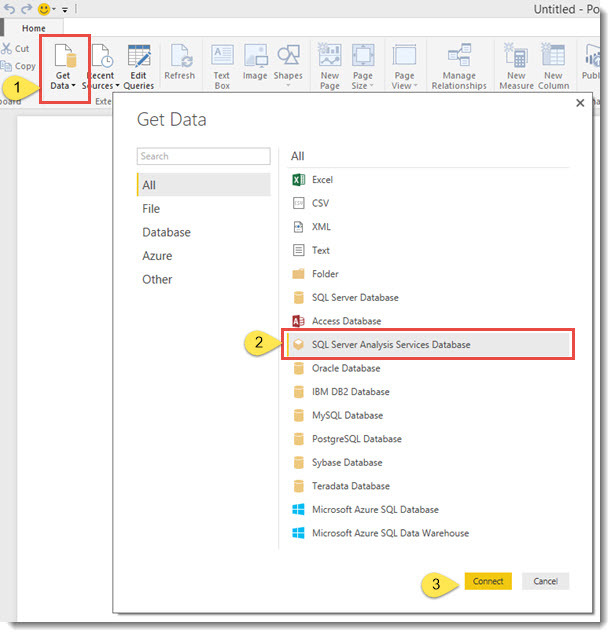 When the Get Data window opens, locate and click the SQL Server Analysis Services Database option, and then click Connect. On the next screen, you will need to input the server name for the machine that your OLAP Cubes reside on. If known, you can also include your OLAP database name (optional). Select the second radio button option that reads Select items and get data from Multidimensional or Tabular model. Click OK to continue. On the next screen, you will be presented with a selection window from which you can select all of the various Measures and Dimensions that you want to use within the report (you only need to select the Measures and Dimensions that you want to use). When finished selecting your fields, click Load to continue. At this point you have connected Power BI to your Jet Enterprise OLAP Cubes.